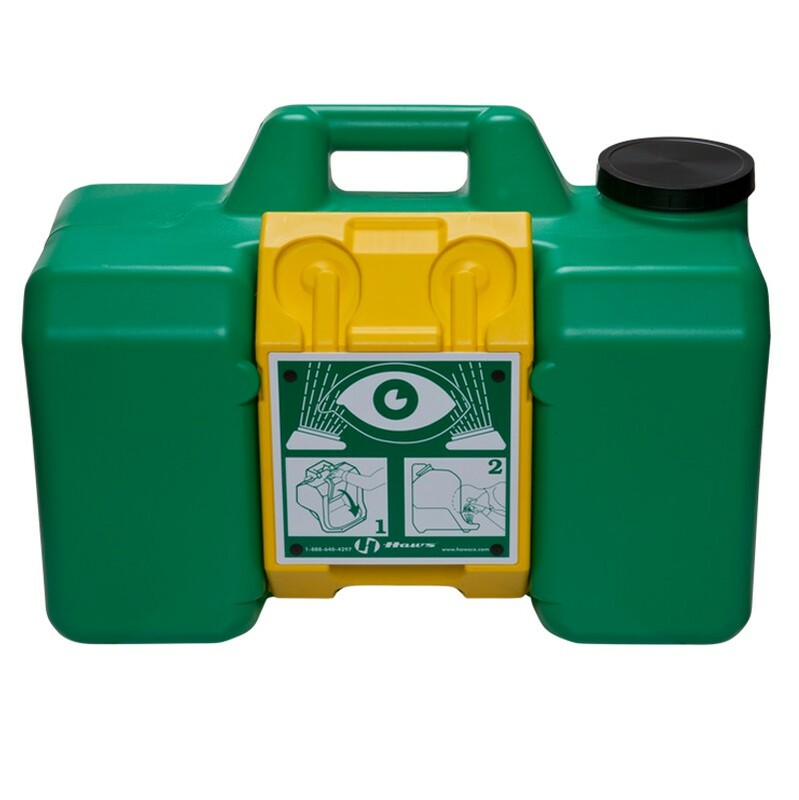 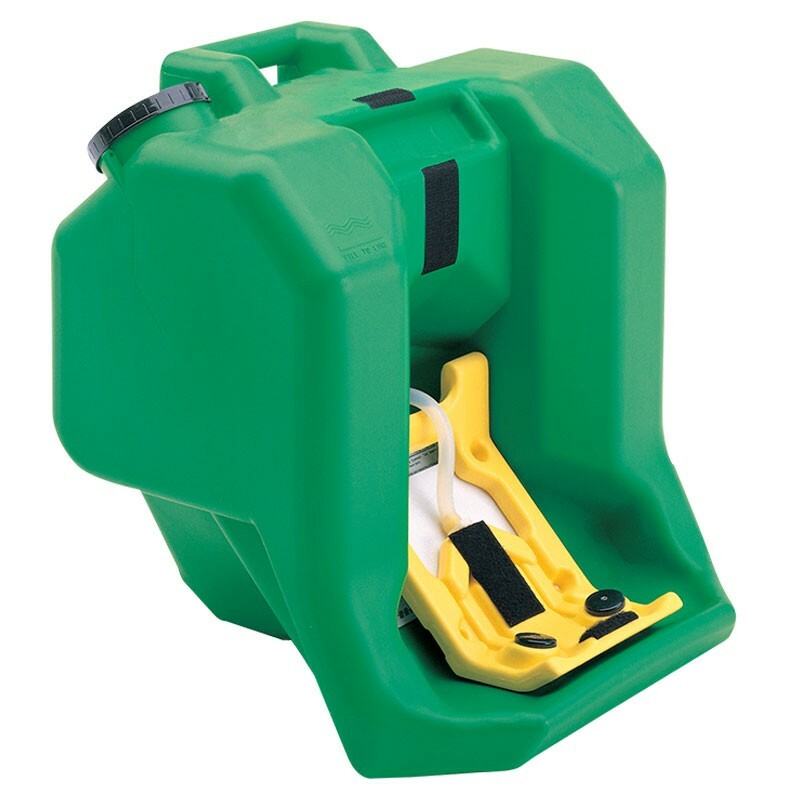 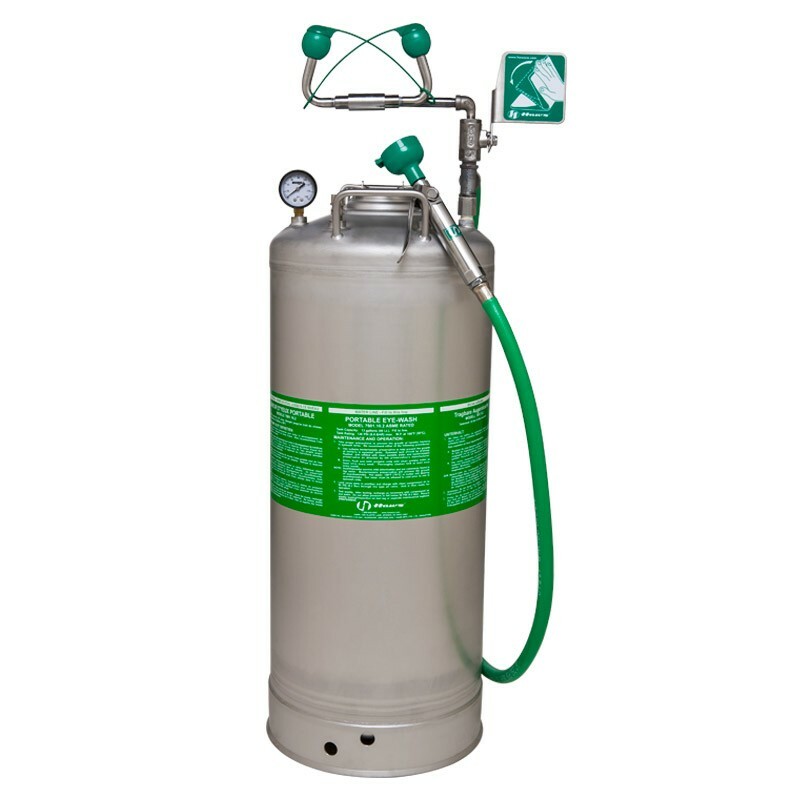 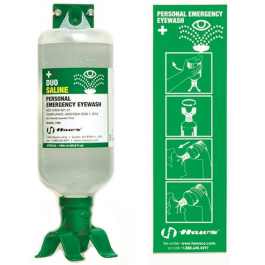 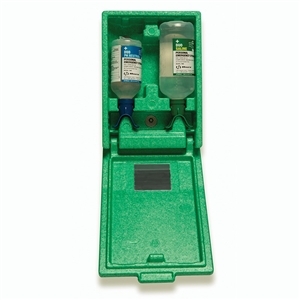 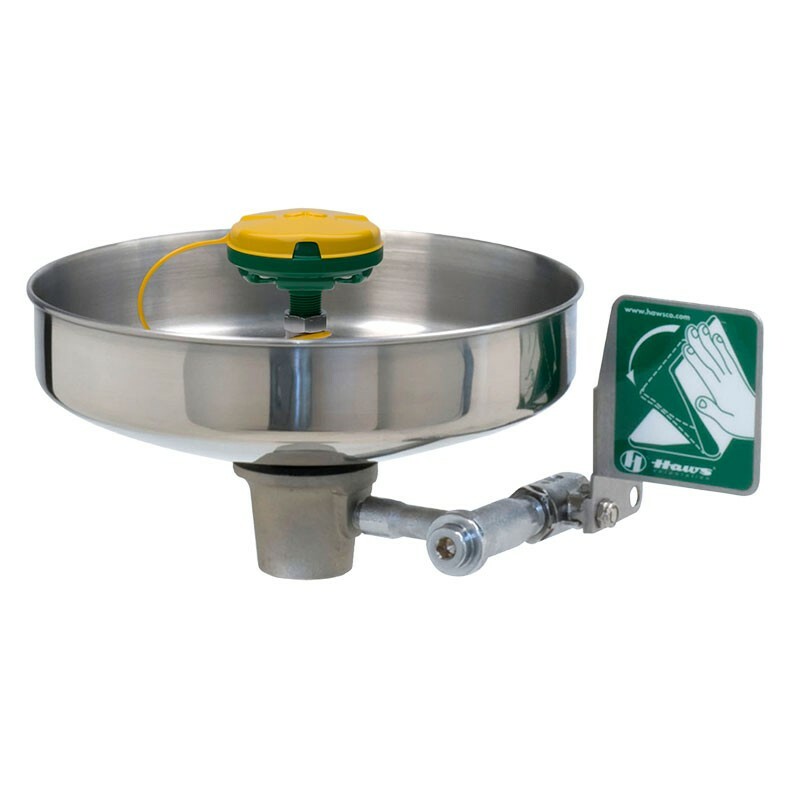 Model 7555 is a wall-mounted, dust-proof, dual bottle personal eyewash station that includes two 1000 ml (33.8 fl oz) sterile Saline solution bottles in a tightly-sealed enclosure. 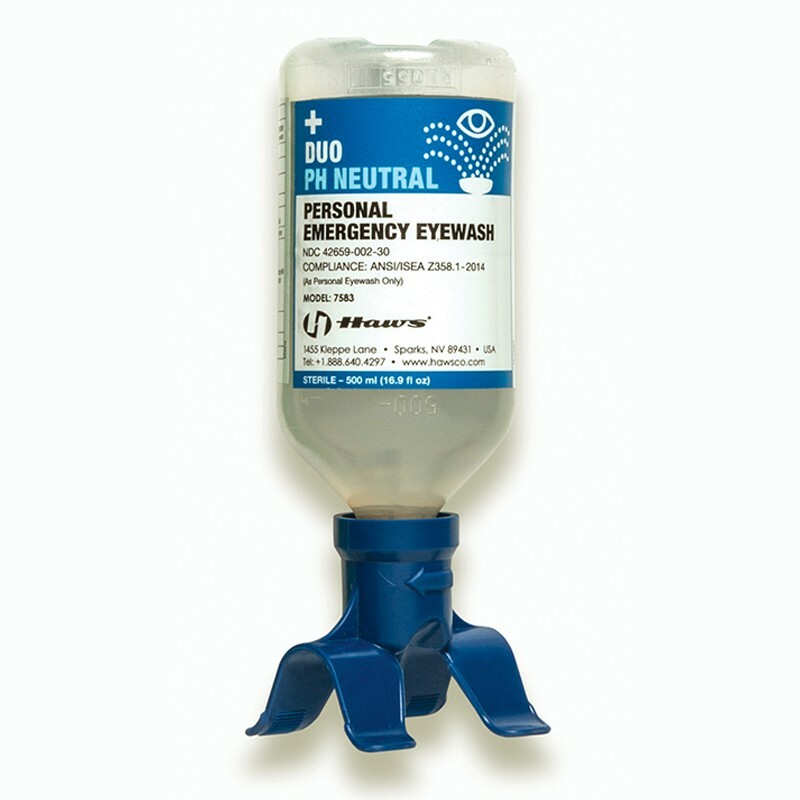 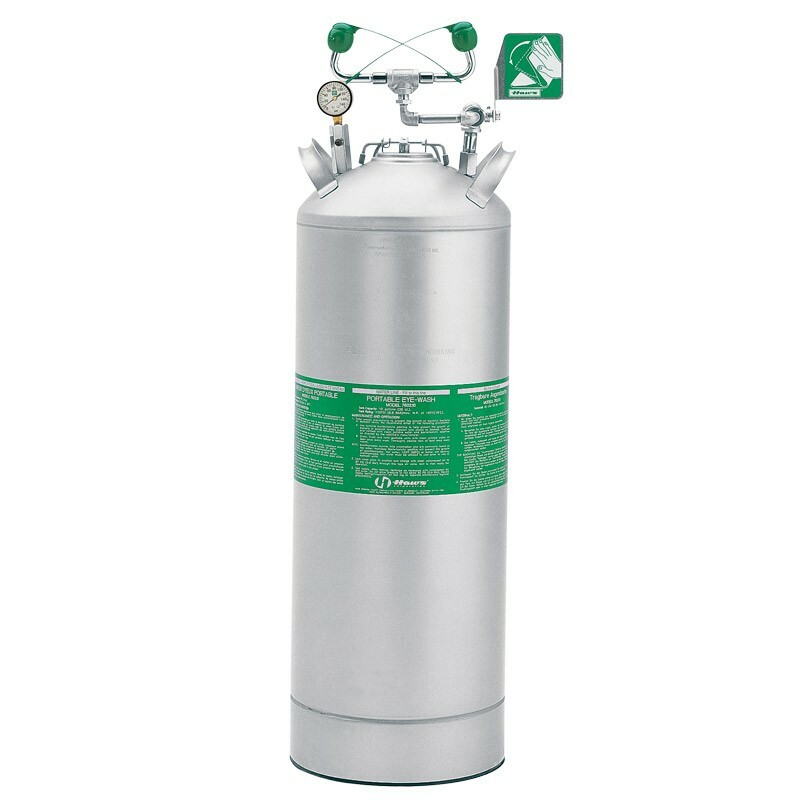 Model 7584 is a refill bottle of the 1000 ml (33.8 fl oz) sterile Saline solution. 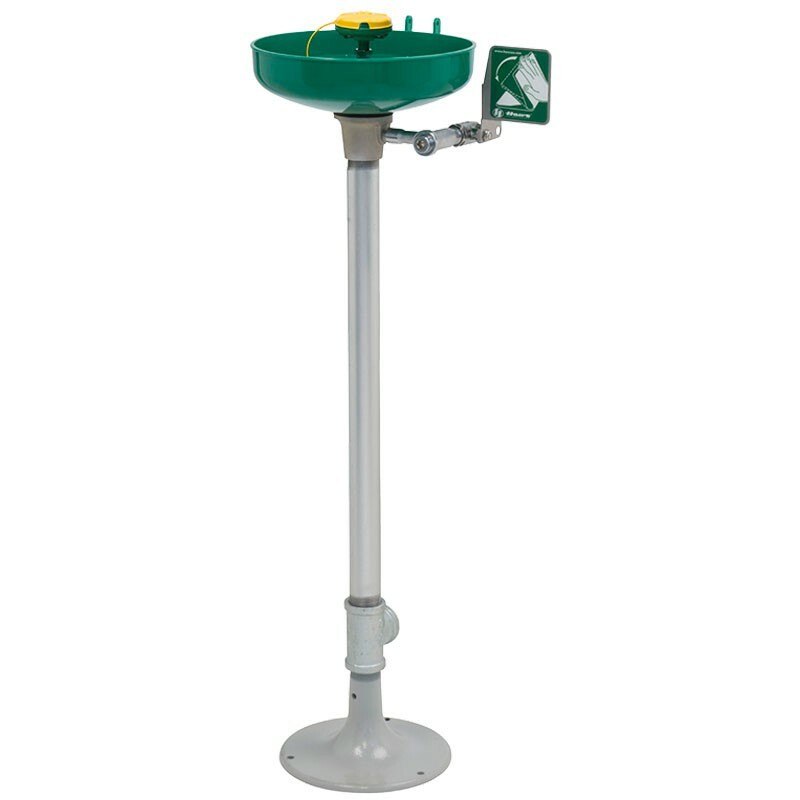 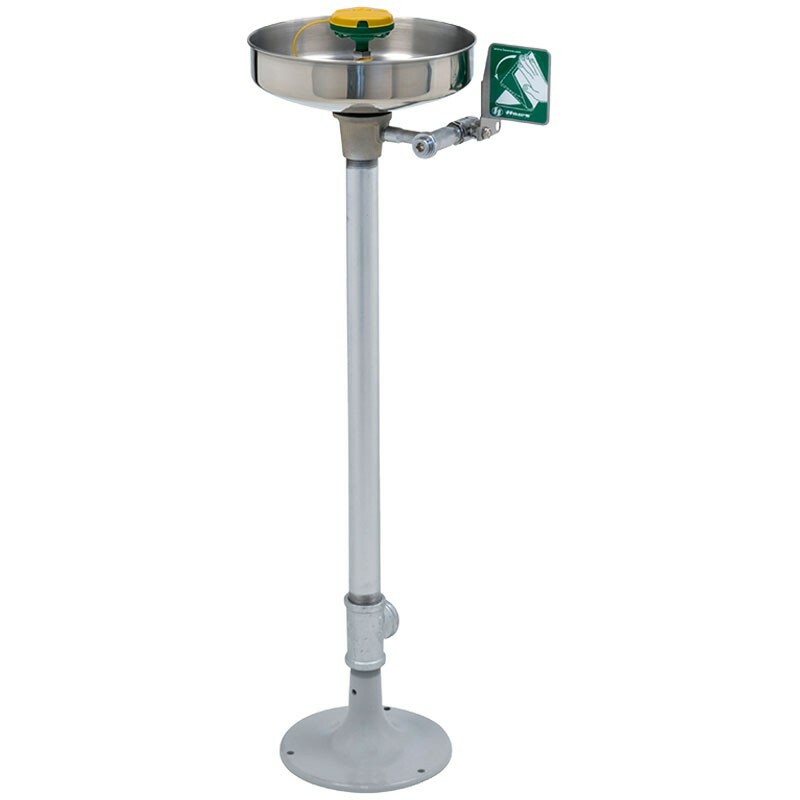 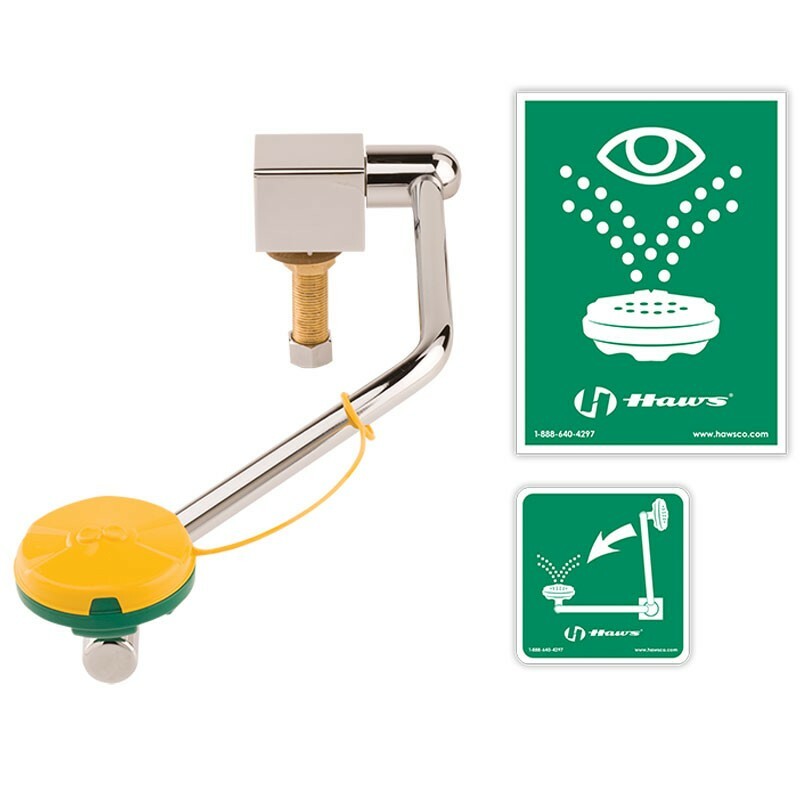 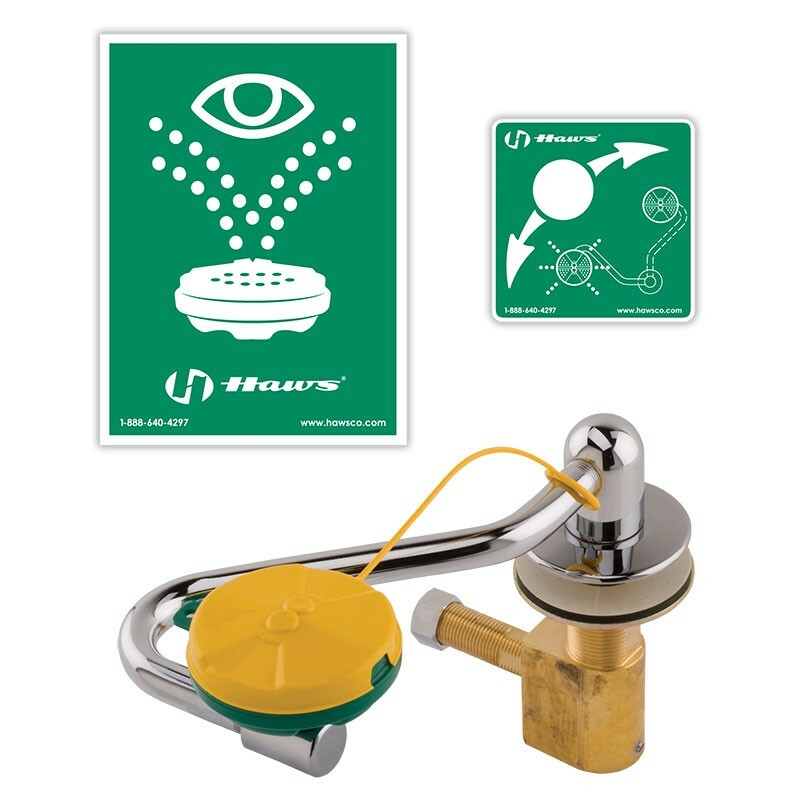 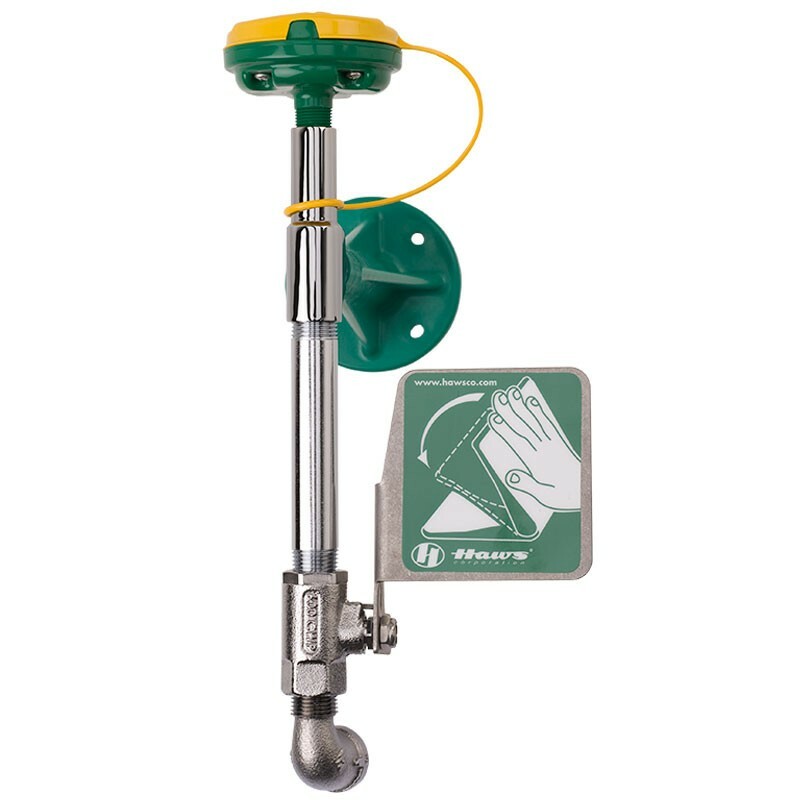 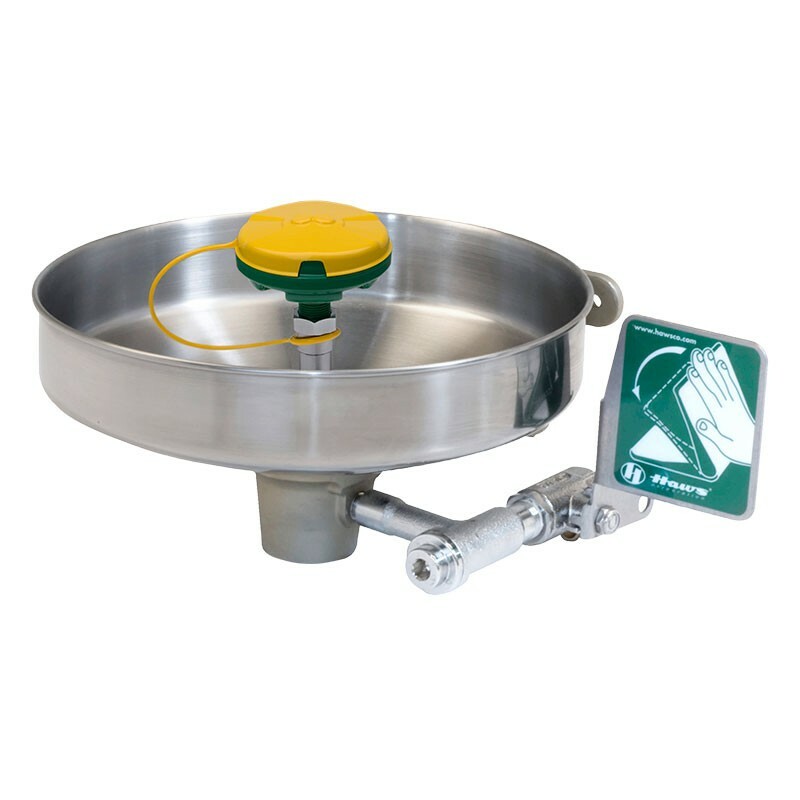 Model 7610, barrier-free, single action swing-down eye/face wash with AXION MSR eye/face wash head designed to be mounted on either rear of sink or counter top. 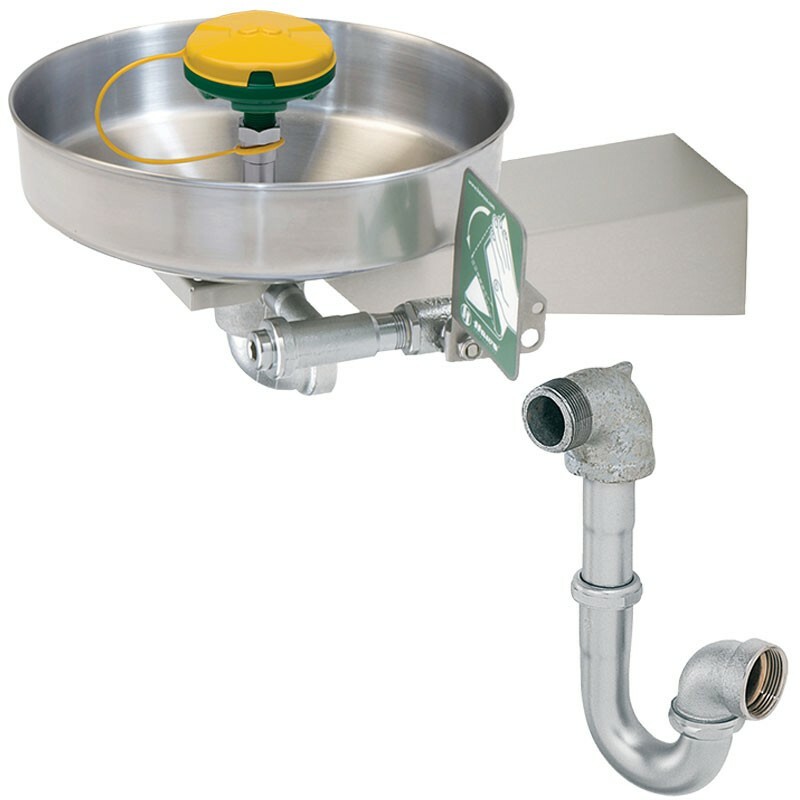 Model 7611, single action swing-away eye/face wash with AXION MSR eye/face wash head designed to be mounted on left or right side of sink.